- custom hats from Oklahoma Shirt Co. The 2018 Oklahoma Craft Beer Summit will be held at the historic Tower Theatre OKC in the Uptown 23rd district of Oklahoma City. The Oklahoma Craft Beer Summit is the only local conference that serves professional brewers, home brewers, and the general public alike. 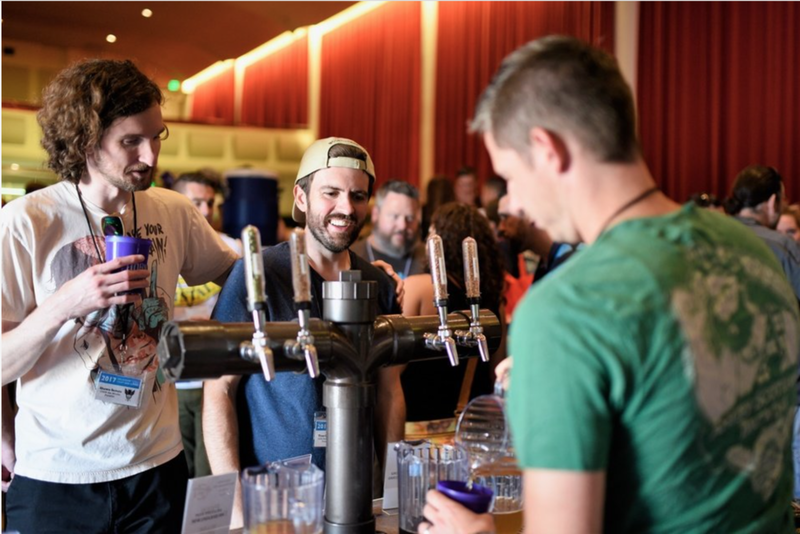 A social event with 400+ attendees enjoying craft brews together, the Summit promotes fellowship and encourages education and innovation for the Sooner State brewing industry. The Summit was originally designed by local craft beer bar Oak & Ore to attract the attention of Oklahoma lawmakers, in hopes of advancing legal changes to the beer industry, while also raising funds for the Craft Brewers Association of Oklahoma, which is dedicated to furthering those changes. With the recent passage of Oklahoma Senate Bill 424, brewers across the state are now able to serve all beers, both low- and high-point, directly to the public from their own taprooms. Come check out one of OKC's newest taprooms! Pick up your registration packets, enjoy a complimentary beer, and mingle with brewers and other attendees ahead of Saturday's conference. Have your tickets and IDs ready! Learn about the upcoming October liquor law changes and what they mean for both brewers and consumers. Our honoree has done so much to further the local beer industry. Come to the event to find out who it is! Learn about the state of the overall US craft beer industry. Enjoy complimentary box lunches, courtesy of our friends at Your Pie! This one's a surprise, but you don't want to miss it! Find out how Austin Beerworks got started, the struggles they've faced, and how they continue to compete and evolve in today's brewery landscape. We'll also learn about their choice to self-distribute and the work they are doing with the Texas Craft Brewers Guild to update Texas' liquor laws. Learn all about hop varieties, trends in the marketplace, how brewers source their hops, and more! Join brewers and attendees for the official after party at Oak & Ore, whose tap wall boasts an unrivaled selection of unique local and national craft beers. Bring your Summit badge to receive 20% off brunch! Want to learn more about the 2018 Oklahoma Craft Beer Summit?